In this study, the late-Maastrichtian and early-Paleocene transition at the Ziarat-Kola section has been investigated to recognize the biostratigraphy and paleoenvironmental changes. We applied a high-resolution quantitative study by using planktic foraminifera taxa and benthic foraminiferal morphotypes. Sixty-five species belong to twenty-eight genera were identified and seven biozones were differentiated. These biozones are 1. Racemiguembelina fructicosa, 2. Pseudoguembelina hariaensis, 3. Pseudoguembelina palpebra, 4. Parvularugoglobigerina eugubina, 5. Parasubbotina pseudobulloides, 6. Subbotina triloclinoides, 7. Globonomalina compressa-Preamurica inconstans. In the late Maastrichtian, benthic and planktic foraminifera are well mixed of epifauna/infauna morphotypes and diversified suggesting a stable and mesotrophic environment. By contrast, the early Paleocene is marked by high values of epifaunal benthic morphogroups, and extinction of Cretaceous species suggesting highly unstable and variable conditions, partly due to the dramatic collapse of calcareous primary producers. Additionally, four different zones were determined based on the benthic foraminifera morphogroups that show several changes in oxygen and organic matter flux during this time. Also, analysis of planktic foraminifera genera in this section indicating a close similarity with assemblages in Tethyan provinces. This study contributes a new methods to understand the biostratigraphy and ageing the rock samples in late Cretaceous of eastern Tethys. Also, This study is one of very few studies which have investigated the pal ecology and oxygen changes in Campanian-Maastrichtian sediments by using the plank tic and benthic foraminfera that are small microorganism. Shokanov A.K. , Vereshchak M.F. , Kulbekov M.K. , Manakova I.A. , Hamraev Sh.Zh. , Smikhan Y.A. Belenky, E.F., 1974. Chemistry and technology of pigments / E.F. Belenky, I.V. Riskin. - L. Chemistry, 115(4): 357-414. Chemical, 1970. Chemical applications of Mossbauer spectroscopy, Ed. Gol'danskogo V.I. Krizhanskogo LM, Khrapova V.V. Moscow: Moscow State University, 3(3): 206. Neither, L.P., A.K. Zhetbaev, M.M. Goldmann and M.F. Vereschak, 1974. 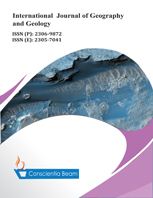 Vereschak bulletin of the academy of sciences of the Kazakh SSR the use of Mössbauer spectroscopy for the investigation of iron-containing compounds in clay production, No. 7: 26. Vil'bitskaya, N.A., n.d. Features of the formation of crystalline phases in high-calcium ceramics. Vil'bitskaya N.A., Golovanova S.P, 7(3): 24-29. Yatsenko, N.D., 2015. Scientific foundations of resource-saving technologies of wall and facing ceramics and management of its properties. The Dissertation Author's Abstract on the Competition of a Scientific Degree of Doctor of Technical Sciences. Novocherkassk. Yatsenko, N.D., A.A. Madoyan, A.P. Zubekhin, V.P. Ratkova and S.P. Golovanova, 1998. Golovanova influence of calcium containing waste on sintering of faience masses. Technology: Ser. Constructions from Composite Materials: Interdigit. Acientific - Technical. Sat. - M, 2(4): 11-13. The paper describes the results of a study of volume-surface concentric zonal color effects in gyro ceramic materials. The dependence of zonal flowers on the phase composition is established by the Mossbauer effects method. The work is devoted to Mossbauer studies of wastes from coal-fired power plants. These products, according to their physical and mechanical properties are 1.5 to 4 times superior to traditional materials from clays. The paper's primary contribution is finding that Mossbauer research of surface-surface concentric-zonal color effects in zoloceramic materials.